Length: 130cm / 51". Width: 33cm / 13"
Antique Japanese *boro **aizome of early 1900s. 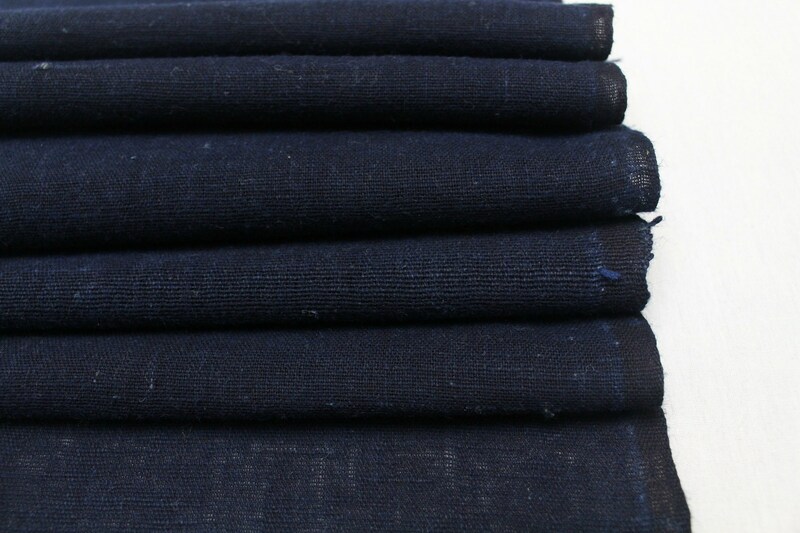 Hand loomed cotton. 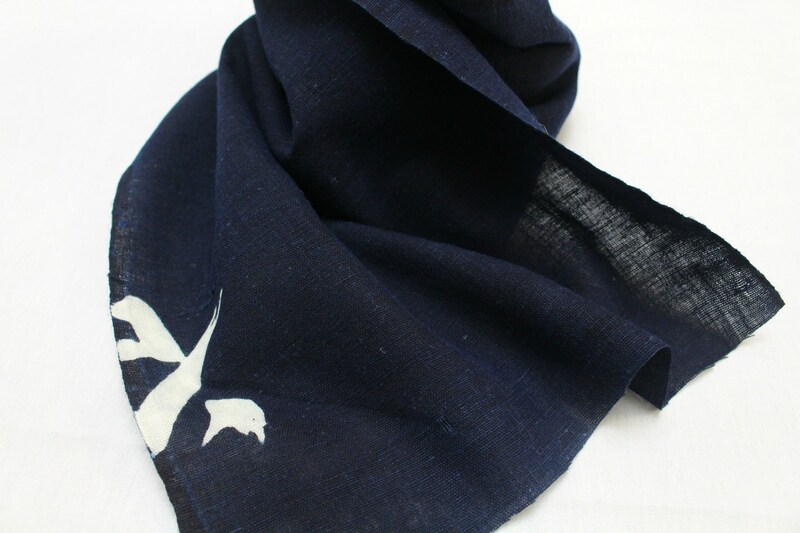 Hand dipped in natural / botanical indigo. The depth and richness of this dye add to the value. Half a kanji character is at one end of the panel. Light weight with wonderful texture. No patches. Sheer when held up to the light. 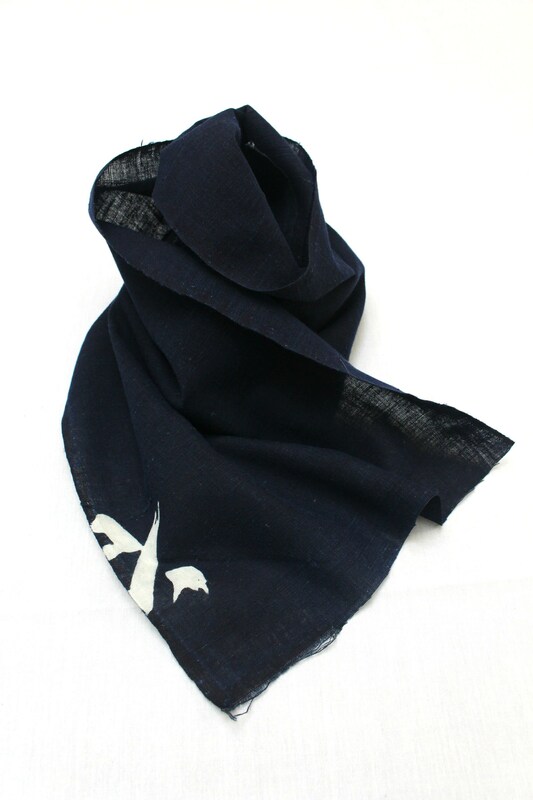 *Boro is a highly collectible Japanese folk textile. This is an excellent example of Japanese utilitarian boro used around the home. 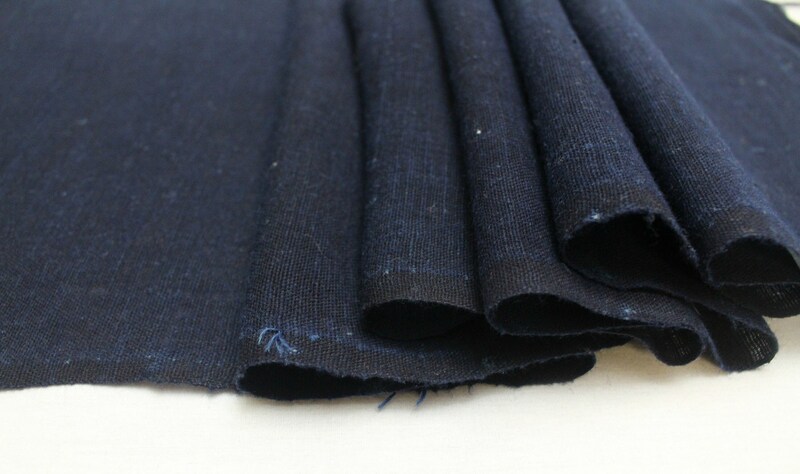 In Japan, cotton was highly prized among the peasant class as a warmer alternative to hemp. 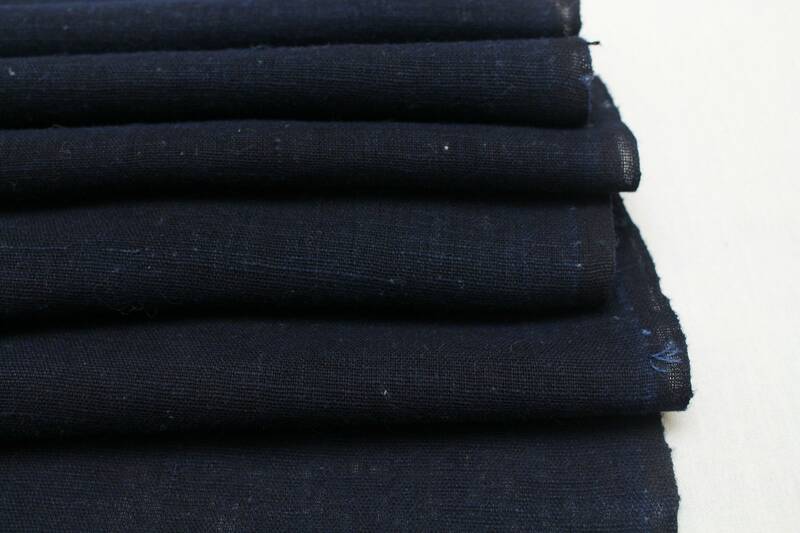 Indigo dye was the best natural dye available to use with cotton. 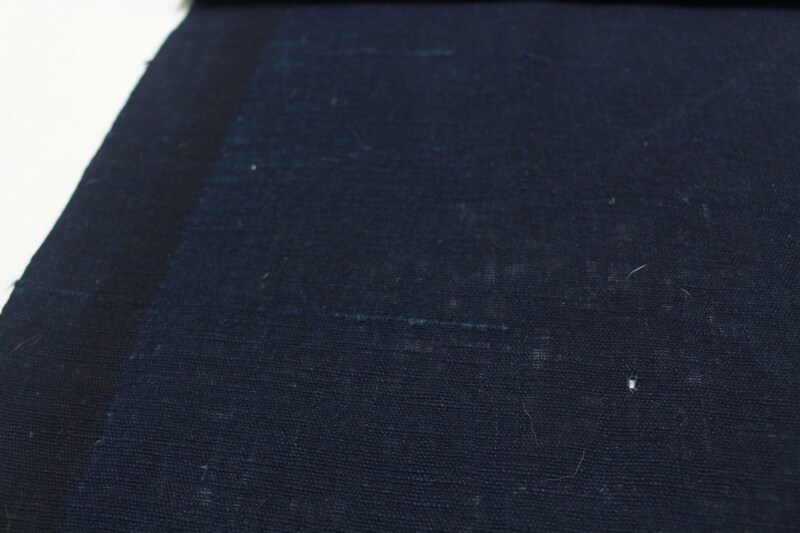 Indigo cotton became a quintessential Japanese fabric that was never thrown away and always reused. 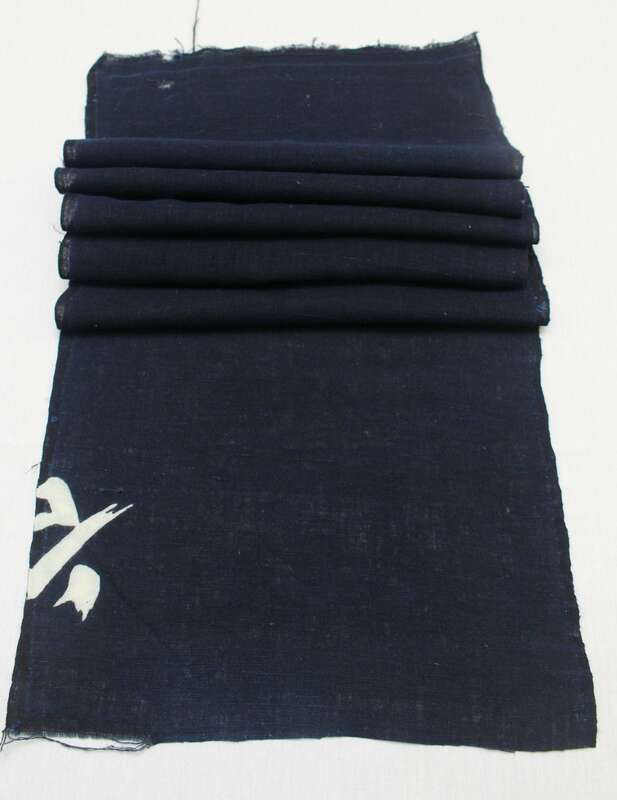 **Aizome, Japanese indigo cotton, is highly regarded and collected within Japan and across the world. 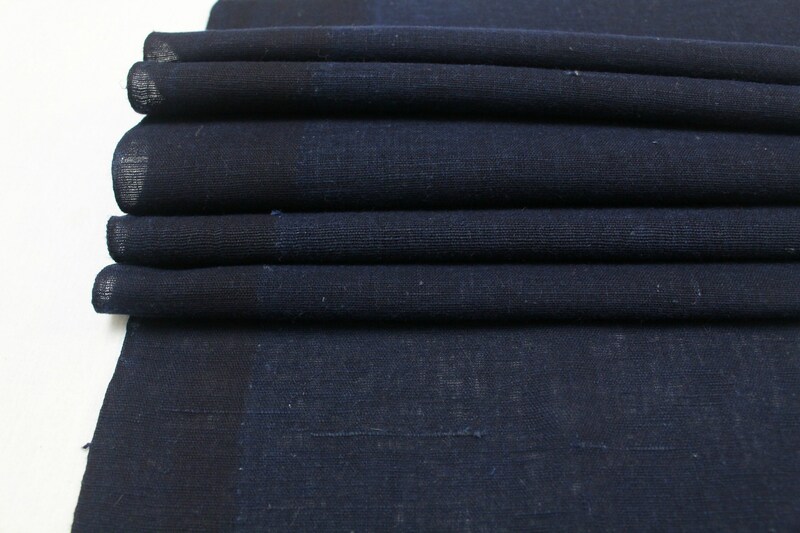 ‘Ai’ (藍) means indigo and ‘some’ (染め) means dyeing. As a compound, 藍染め, is pronounced ‘aizome’ (ai-zo-me). Deep shades of rich blue are produced with repeated immersion and airing. The deeper the blue, the higher the number of dips and the higher the value. All items are genuine Japanese vintage or antique goods purchased personally in Japan. *NOTE Ensure you are aware of any customs charges (especially UK customers) that may be incurred by authorities in your country.